With the multi layers of foam padding, the gloves offer ultimate protection, comfort and power. The leather outer along with compartment lining allow dry and pleasant-to-wear feeling. For those who train and hit hard, the glove saves you from knuckle soreness and wrist pain. 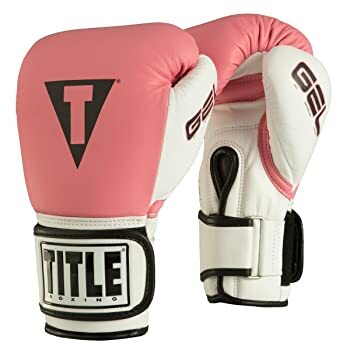 The TITLE Gel World Bag Gloves are a new entrant to the world of boxing and come customized to offer the user protection as well as power in the delivery of an ultimate experience. The pair comes with a reinforced gel lining that cushions the hitter from impact while forming a perfect fit. These gloves are made of pure leather on the outer side but with an inside that is ideal due to the dry yet cool lining that makes it comfortable to the wearer. The pair spots a very well made wrist strap that bears a D-ring, a hook and a loop closure to form an awesome wraparound. This wraparound ensures the gloves fit securely when worn. Apart from the gel lining that is meant to cushion the user from impact, several layers of foam padding are added to achieve this effect further. A Gel reinforced lining to offer a form fit and to cushion the user from impact which makes them impact resistance. Multi-layered foam padding that enhances the impact resistance feature. Pure leather on the outer while featuring a special hand compartment lining that ensures a comfortable wear. A wrist strap wraparound that is adjustable due to the D-ring, the hook and loop closure that also offers wrist support while securing the wear. The Slit openings open up to accommodate the wrapped hand quite easily. These gloves aid in minimizing knuckle soreness due to the gel enforced lining. The gel helps form a perfect fit while offering impact resistance to the user. This together with the multi-layered foam padding that makes up the glove, knuckle pain becomes a tale from the past. The protection offered ensures longer sessions and a return for the same the following day especially if hand wraps are used with the gloves. These excellent gloves provide mentionable wrist support to its wearer as a result of the D-ring, hook and loop closure feature. They provide a comfortable feel to the wearer due to the hand compartment lining that also makes them have a form fitting. The pair is a long lasting product that can stand the test of time due to the pure leather material that forms it outer layer. This ensures that the hard hitters have their way without a care of wearing or degrading the pair. 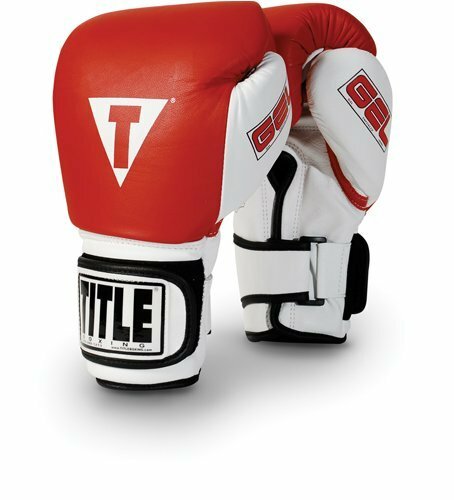 These gloves come in the patriotic colors of the boxing world; black, white and red. The sizes are said to be overall small by some users with a few claims of bad thumbs. Some users have cited imbalances with the gloves while others claim they are well balanced. The gloves are weighty too but with a little getting used to, the weight ceases to be a bother. The Velcro that is part of these gloves makes them less ideal for sparring although wraps can be used to cover the same to avoid hurting the opponent. On wrapping the hand with some regular hand wraps, the user will only need to insert his hand through the slit openings which widen to accommodate the hand. After, tighten the wrist wrap after wrapping it around the wrist and latch using the provided hook and loop. After doing the first hand, do the same for the other hand with the same easy motions. By wearing hand wraps underneath, the gloves will remain cleaner than usual. Hand wraps should be kept clean at all times. Most gloves can be hand washed with some salty water to kill germs that result from constant sweating although this can be controlled by use of hand wraps. However, the gloves have to be dried off completely before reuse. 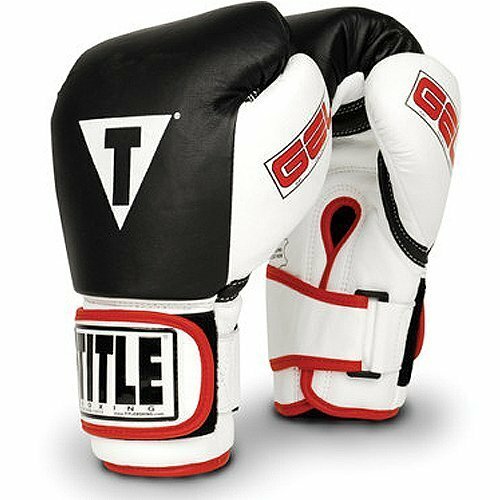 In conclusion, the TITLE Gel World Bag Gloves have come to the rescue of boxers who suffer from sore knuckles and are indispensable to the heavy hitters who keep wearing out their gloves easily. With the right size, the difference is bound to be felt after a training session; due to the excellent protection offered and the duration sparred. The gel world bag gloves are beautiful with a superb finish that is as a result of excellent stitching and should not be missed by anyone searching for durability, comfort and beauty in one piece.